In 1969, Vietnam Veteran Larry Grathwohl had a chance encounter with some members of the radical group the Weathermen. Most people would have simply dismissed them as crazy hippies. Larry Grathwohl was not most people. He was concerned enough by their violent rhetoric to discuss the encounter with his father in law, a retired Cincinnati police officer. Grathwohl’s father in law encouraged him to share his concerns with the Cincinnati Police Department and the FBI. Grathwohl decided, partly on his own initiative, to try to infiltrate the Weathermen and was surprisingly successful. Despite having no training in undercover work, Larry Grathwohl managed to gain the confidence of the inner circles of the Weathermen and when they decided to underground, they took him with them. All this time, Grathwohl was sending information to the FBI and trying to frustrate the Weathermen’s plans for a violent revolution. 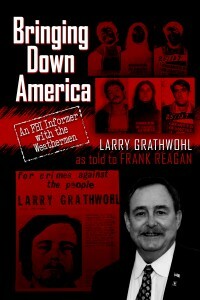 Bringing Down America is the story of Larry Grathwohl’s adventures as an FBI informant in the Weathermen. It is an exciting story and somewhat harrowing when the reader considers how deadly earnest these radicals were with their plans for revolution. They planned bombings, assassinations, riots, kidnappings, robberies; all for the Revolution. The Weathermen had some limited success and the only reason that they didn’t do more damage was their own incompetence as terrorists. There are a couple of points to consider after reading Bringing Down America. First is that the Weathermen were woefully inept at terrorism and revolution. At least one of their bomb making facilities blew up killing several Weathermen. They never seemed to have any realistic ideas on how to successfully carry out a campaign of terrorism. What plans they made were often wildly beyond their actual capabilities. Second, the former Weathermen are far more dangerous now than they were back then. They made for inept terrorists, but now many of the former leaders of the Weathermen have positions of considerable influence. Bill Ayers is now an important expert on education. He helps decide what your children are learning in school. Bernardine Dohrn is doing her part as a “social activist” teaching law to undermine the rule of law. There is also Ayer’s protégé, one Barack Obama who has been moderately successful in politics. None of these people has ever expressed the slightest regret for their criminal actions and there is no reason to believe their desire to fundamentally transform America into something resembling Stalin’s Russia or Mao’s China has mellowed in the slightest. They are still dedicated to bringing down America. 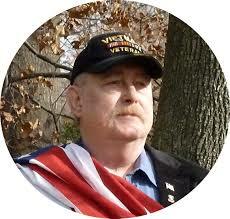 In a sane and just world, Larry Grathwohlwould be recognized as a true American hero. His successful effort, as an FBI informant, to infiltrate the terrorist group the Weather Underground and to attempt to bring them to justice would be common knowledge and his book about his experiences would a best selling, making Grathwohl a wealthy man. In a sane and just world, terrorists and murderers like Bill Ayers and Bernadette Dorhn would be spending their lives in prison, justly reviled by the nation they sought to destroy. Their protegé, one Barack Obama, would not dare to enter politics for fear that an alert media would expose his sordid and radical past. We do not live in a sane and just world. In this insane and unjust world we do live in, heroes like Larry Grathwohl live and die in obscurity, their work largely unrecognized. Villains like Ayers and Dorhn do not pay the price for their crimes but are treated as heroes by the Left wing media and Hollywood. Fawning movies by A list celebrities white wash their murderous pasts, implying that they were just a little bit over excited at times, not crazed radicals who were perfectly willing to see tens of million of their fellow Americans perish in concentration camps. Larry Grathwohl is now in a saner and more just world, having left this one yesterday. He has gone to his reward for his heroism. One can hope that the villains he exposed will soon face the justice they deserve.